Commercial Businesses and Jobsites have tons of power hungry devices with a lot of special needs. No matter what kind of device you’re using we have your fix. With well over 120 vendors in our network of suppliers we can find those hard to find chargers for 2 way radios, specialty tools and testing equipment, monitors and alarms. 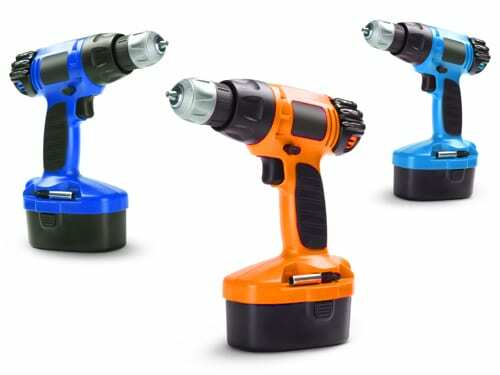 We even have replacement chargers for every major brand of cordless drill or power tool. What can the right batteries at the right price do for your business? Every business from corporate offices to industrial workshops depend on batteries. Just look around you and you will see dozens of devices, equipment, vehicles and machines that use batteries. In an increasingly wireless and cordless society companies depend on batteries to boost productivity more and more every day. Battery Joe is your “one stop shop” for every battery that keeps your business running. We have over 10 years of experience in a wide range of industries from bio-medical and alternative energy to fleet service and Information Technology companies. Our expertise in battery technology and access to over 100 specialty suppliers ensure we can provide almost any portable power need. We actively bid supply opportunities with municipalities and larger companies. Here at Battery Joe we want to make it easy for you to do business with us. We offer commercial discounts on every battery you or your employees may need. We can also offer special pricing on the batteries that you use the most. Our commercial account specialist can help you asses your needs and offer you money saving solutions. In addition of regular methods of payment we offer easy net 30 terms for qualified businesses and have the ability to implement purchase order systems. Device repair on a commercial level is available also. We have partnered with multiple school districts and corporations to provide fast, professional tablet/phone repair and laptop battery replacements. Don’t let a broken screen or weak battery kill your employee’s productivity! Let us keep all your devices operating at peak performance. Apply for Commercial Credit with Battery Joe! Contact a Commercial Account Specialist Today!